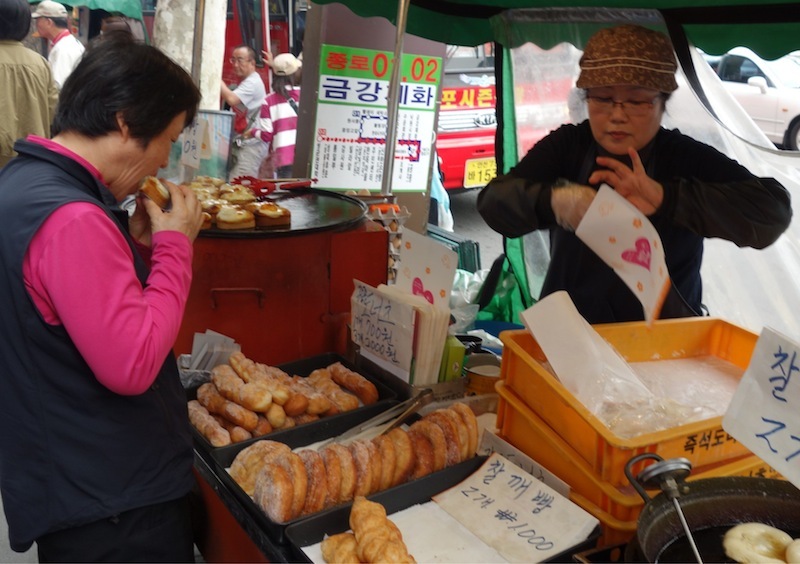 After even a day spent in Seoul you are swept along by the sheer frenetic energy of the place. It is, quite literally, the city that never sleeps. Or stops eating. 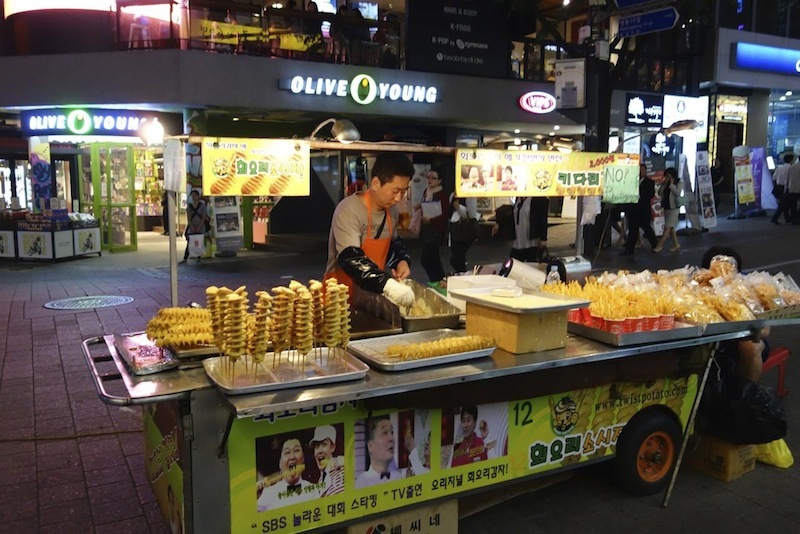 No matter where you are, from the high-end restaurants of Gangnam, to the street-food vendors standing on every corner, there is always a new flavour, a new dish, to experience. And judging by the lineup of people waiting to taste these foods, going hungry is not an option! Your nose detects the presence of a food stall well before you see it. 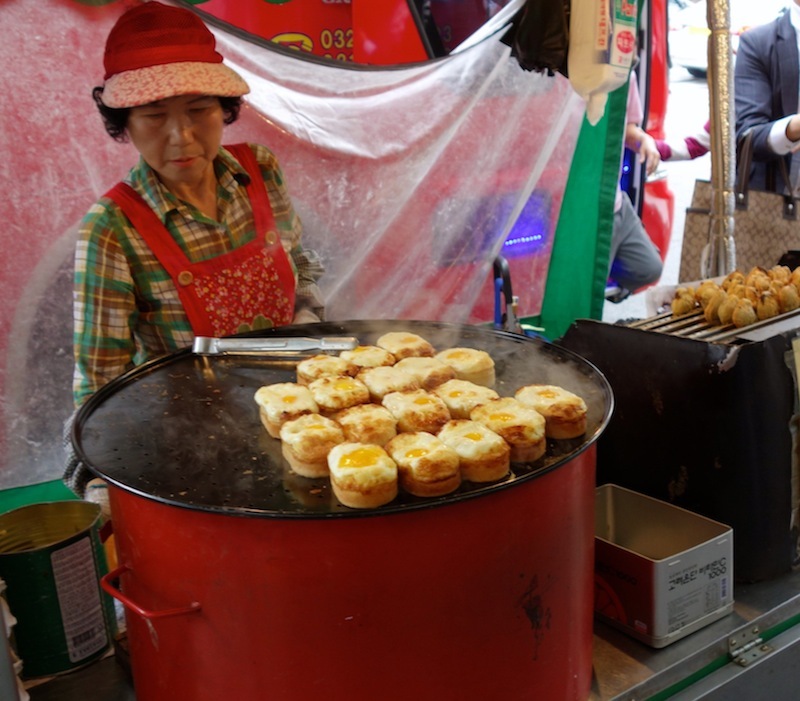 It may be a little cart, or a counter tucked away into a tiny hole-in-the-wall, but they all have something grilling on a fire, or sizzling on a griddle, or bubbling in a pot, from which wafts an irresistible aroma and beckons you. 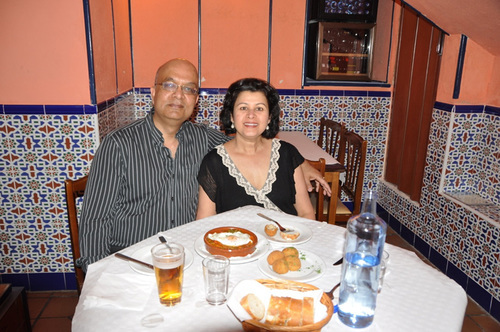 The delicious, tempting little snacks we ate on the street were unusual and not to be found in most restaurants. 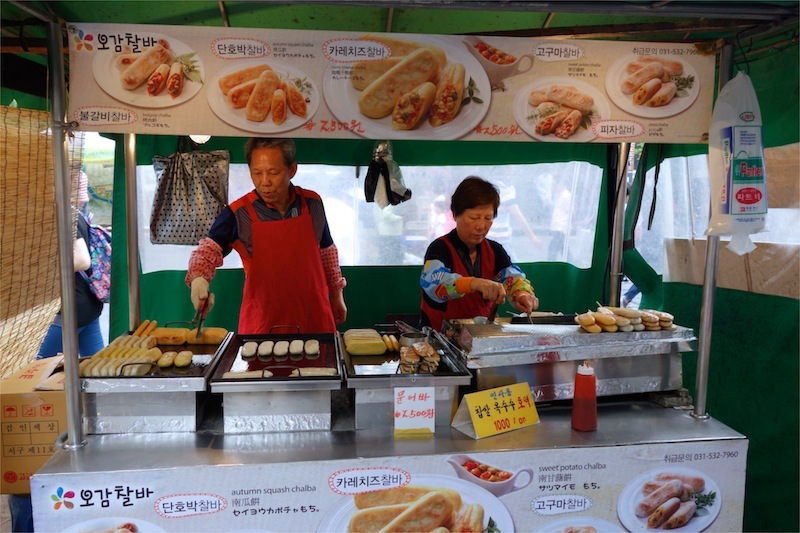 The ones that stand out in my memory are the spiral potato fries on skewers, the miniature loaves of bread baked in a tiny charcoal oven, then skillet fried with an egg on top and the pan fried dumplings and wraps. 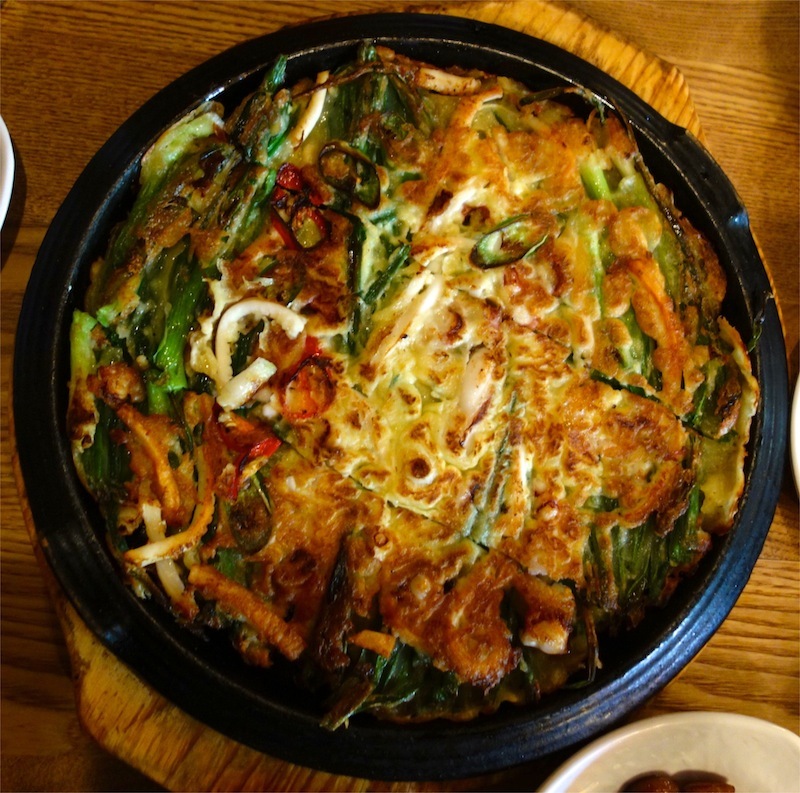 Seoul's restaurants offer a tantalizing variety of dishes too. From the comfort food of bibimbap and seafood pancakes to the most delicate sushi, you can find it all. 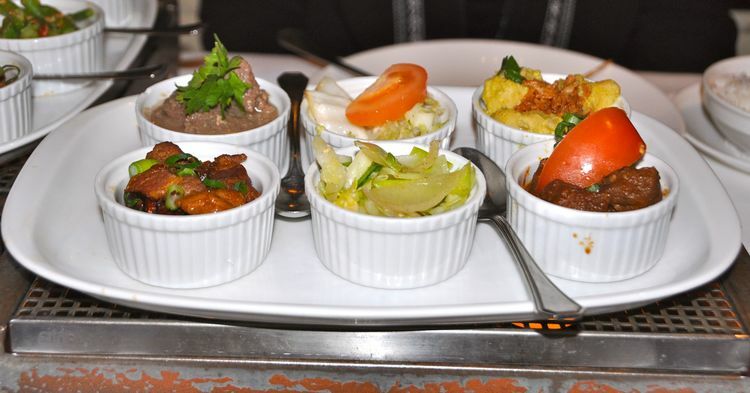 The array of side dishes that are placed on the table as soon as you are seated could make a satisfying meal by themselves - it hardly seems necessary to order a main course once you have finished sampling them all! 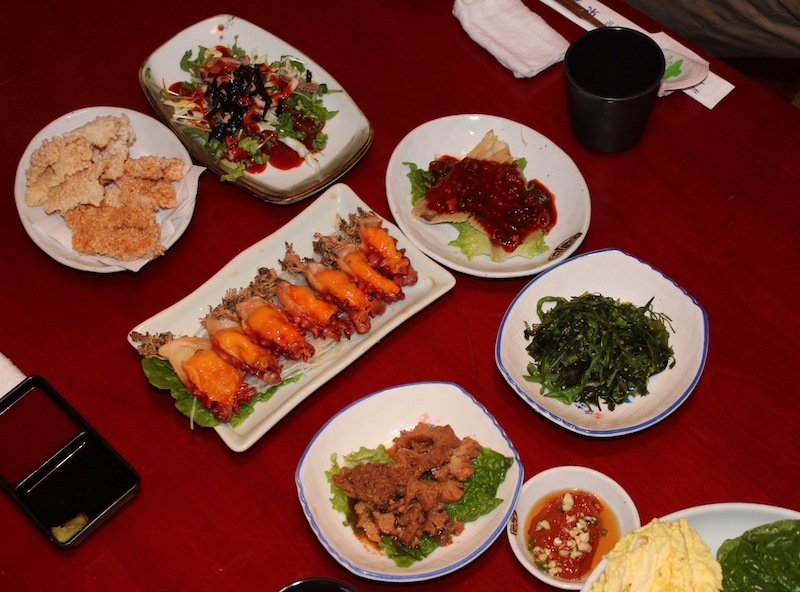 The marinated daikon radish, seaweed salad, crisp shrimp and vegetable tempura and of course the ever present kimchi, were all great to nibble on while we pondered on the relatives merits of which dish to order. After munching on all the side dishes, a hearty soup was the perfect choice for me. Making a decision on which soup to have was the hard part! 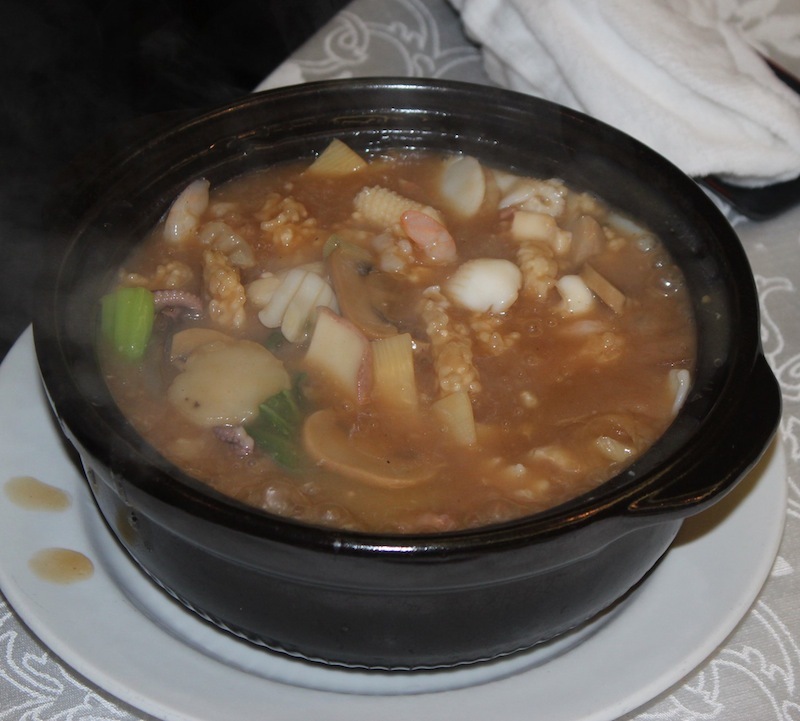 Although I sampled seafood soup, fish soup and hand pulled noodle soup with clams, my favourite was easily Soon Tofu Soup. 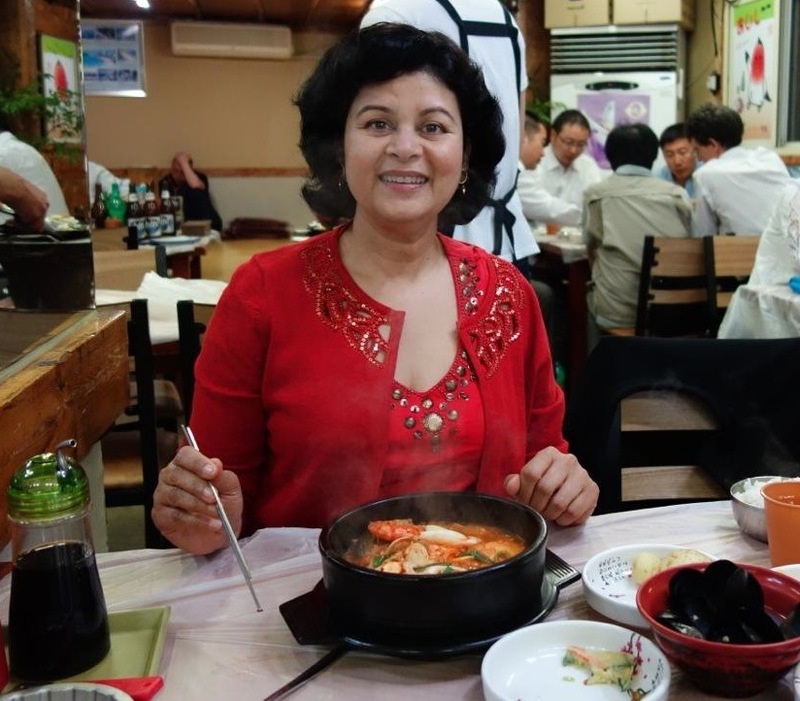 I just love the spicy broth, melt in the mouth soft tofu and fresh seafood that are such an integral part of this dish. 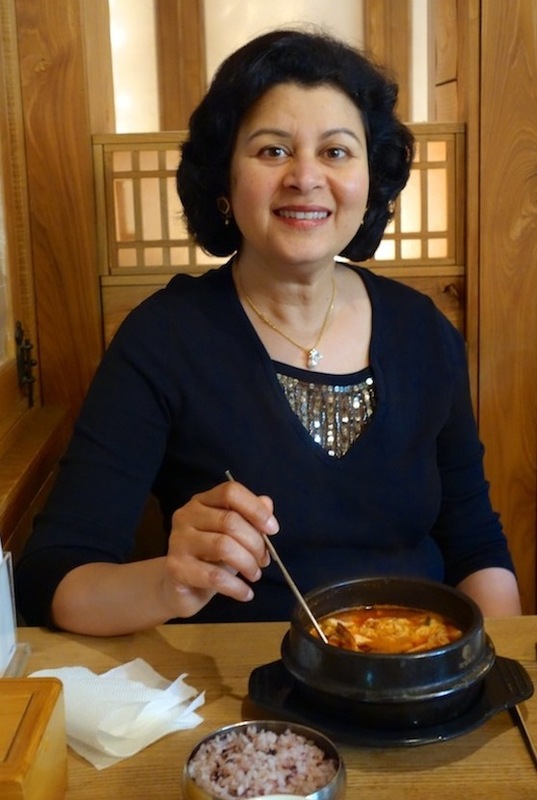 I was addicted to Soon Tofu soup long before i visited Seoul. The many excellent Korean restaurants in Toronto introduced me to the delicious flavours of this cuisine and this soup quickly became my all time favourite. 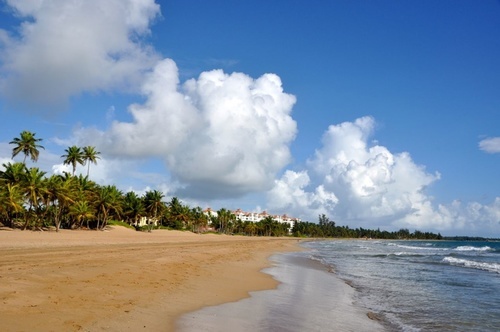 What better way to deal with our long, cold winter?! You can easily make this recipe vegetarian by omitting the seafood. Feel free to add other diced vegetables such as broccoli, zucchini or anything else that you prefer. Although traditionally not part of the recipe, I sometimes also like to add cooked rice noodles to my soup! Warm oil in deep saucepan or earthenware pot over medium heat. Add onions, garlic and red pepper. Saute, stirring occasionally for 5 min or until onions are slightly softened. Add potatoes and mushrooms and saute for 5 min or until mushrooms are soft. Add baby spinach, saute 1 min. Add hot pepper paste and kimchi and saute 1 min. Add broth, cover and bring to a boil. Reduce heat to low and simmer 10 min for vegetables to soften. Add seafood and tofu, cook 2-3 min stirring occasionally very gently, until seafood is just cooked. Remove from heat and break an egg into soup. Let rest 1 min, then gently stir to mix in egg. Garnish with green onions and serve. *Korean hot pepper paste and kimchi are easily available in most Asian grocery stores.